The 14th International Alvar Aalto Symposium “New housing solutions for cities in change” will be arranged on 30−31 August 2018 in Jyväskylä, Finland. So right now we have to discuss in what kind of city we want to live in the future! Cultural variables – what are the major cultural and intercultural changes in relation to housing? Sharing – what kind of new types of shared and common spaces are emerging in housing? Adaptability – which flexible space concepts and various scales of spatial solutions are relevant in contemporary urban housing? Emerging typologies – what kinds of urban design solutions and housing typologies are needed for densifying cities? Read more about the Symposium´s themes and program here. The 14th International Alvar Aalto Symposium will be chaired by Markku Hedman, a Director General at Building Information Group, which is the leading provider of construction information in Finland. He is also an Experienced Professor (Tampere University of Technology 2007-2018) with a demonstrated history in experimental research and design projects, specialising in Housing Design, Urban Planning, Innovation and Business Management and Sustainability. Hedman is the MD of Architects a-live Cooperative, which concentrates on innovative development urban and housing design projects. “Alvar Aalto Symposiums have a decades-long tradition and an established position as one of the most important events within the field of architecture and design. The spirit of Symposiums is very distinctive; it is based on Aalto’s heritage as one of the mightiest representatives of humanistic design thinking”, says Markku Hedman. “At this moment, we live in an unprecedented era of technological developments which have a significant impact on the built environment and its characteristics. In this rapidly evolving and technology-oriented world we need resting places – like Alvar Aalto Symposium – to revitalize our understanding of human well-being within the context of built environment”, Hedman continues. Hanna Harris is a curator and producer with more than 15 years of international experience in leadership and curatorial roles in the arts. Since 2016, she has been the Director of Archinfo Finland whose mission is to make Finnish architecture visible and known in Finland and abroad. She is the 2018 Commissioner for the Finnish pavilion at the 16th International Architecture Exhibition of La Biennale di Venezia. She has also worked as an urban researcher at the University of Helsinki and Aalto University and abroad at the universities of Cambridge, Westminster, Milano-Bicocca and Sorbonne. Juha Kostiainen holds the position of EVP Urban Development in YIT Corporation and is a member of Group’s management board. Kostiainen has worked also in Sitra, the Finnish Innovation Fund, where he held several executive positions related to energy efficiency in built environments. He has published articles on regional economic development policy, the competitiveness of city-regions and area development dealing with housing etc. in refereed academic journals. Kostiainen is also the adjunct professor in the University of Tampere (strategic development of city-regions). Minna Lukander is a partner in Talli Architecture and Design Office Ltd, a Helsinki-based office, which has focused on renovation and change-of-use projects involving high-profile Finnish public buildings. The other focus of the Talli team is to diversify the Finnish housing market by initiating innovative housing concepts. Ongoing housing projects are based on the raw-space concept where inhabitants can create and build their own homes, and on the idea of collective rental apartments, both concepts for new buildings. Minna Lukander has been teaching both the basics of architecture and housing design at the Helsinki University of Technology, today the Aalto University, from 1994–2010. Ari Hynynen has been the Director of the Seinäjoki Urban Laboratory since 2009. In his doctoral dissertation Hynynen studied the local potential of urban planning from the standpoint of ecological modernisation. His post-doctoral research dealt with issues regarding the spatial integration of immigrants in urban contexts. In 2005-2009 Hynynen was the co-founder and leader of TUT’s EDGE laboratory, which specialises in analysing and modelling urban structures and processes through the use of GIS method and developing new ones. In his recent work, Hynynen has explored the topical issues of urban and regional development, and he has led several projects and consortiums as a principal investigator. Early bird tickets are available right now! 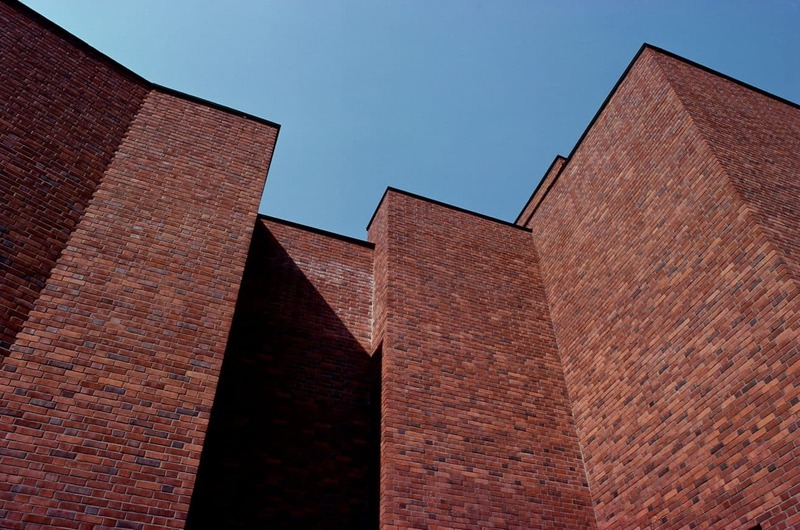 The Symposium´s additional program includes architectural excursions and an exhibition Alvar Aalto as a housing designer at the Alvar Aalto Museum in Jyväskylä, Finland. Check out the whole 14th international Alvar Aalto Symposium prorgam here. Lower-priced early bird tickets are available until 30 June 2018. Book your tickets here. Stay tuned and follow the Alvar Aalto Symposium on the Facebook too! The Alvar Aalto Symposium is an international forum for discussion on contemporary architecture. It is a triennal event that brings professionals from around the world together to engage in currrent architectural topics. The aim is to stimulate critical discussion about the artistic, social and technical challenges faced by contemporary architecture. The event is organized by the Alvar Aalto Academy / Alvar Aalto Foundation this year together with the City of Jyväskylä, Academy of Finland plus numerous other partners.